Some days we spend more time in our bedrooms than in any other room. We all agree that a good night’s sleep is what most of us are seeking, so it’s important the bedroom is comfortable, organized and gives off a relaxing vibe. Today we made a list of bedroom essentials that will help you turn this room into an ultimate retreat. 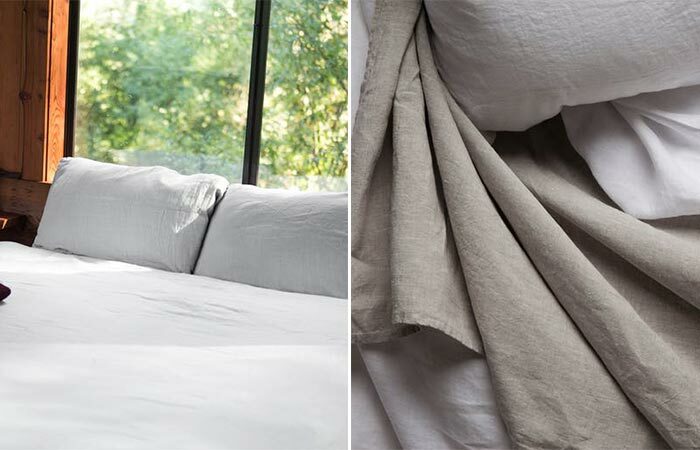 Matteo is a company that produces linen sheets from the best mills in the world. The fabric is later dyed in LA to give that classic vintage style. Why linen sheets, you wonder? This luxurious textile is used all around the world, for centuries. It’s very soft and breathable (making it perfect for summer), not to forget it lasts longer than cotton and that quality bedding is always a smart investment. These sheets will feel super soft next to the skin. This is achieved by using 100% linen material together with a 100% white polyester hem thread. Available in queen and king size. Malouf features an impressive collection of ultra-soft ergonomic pillows that will make you feel like you’re sleeping on a cloud. This one, in particular, comes with a Zoned Dough technology- a unique formulation that utilizes the best sleep materials on the market. The pillow is made from a soft memory foam that is very comfortable, soft and supports neck and shoulders. 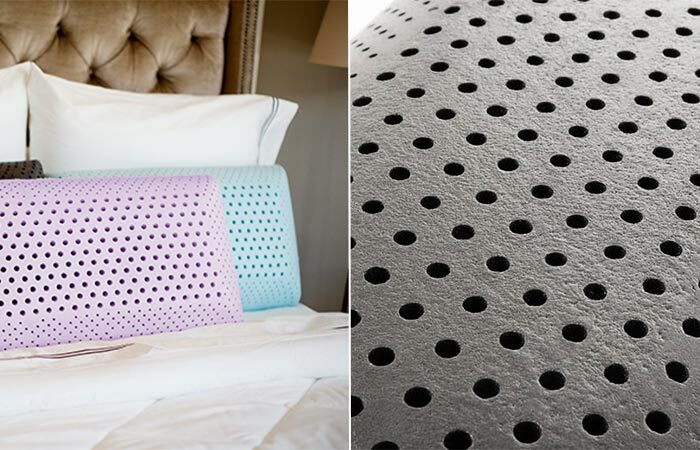 Thanks to its open cell formula, the pillow won’t lose its shape. It’s hypoallergenic and the velour cover can be removed for laundering. The pillow is available in two options- one infused with bamboo charcoal and the other with real lavender. The first one regulates humidity, temperature, and odors while the lavender one gives off a natural aromatherapy experience. 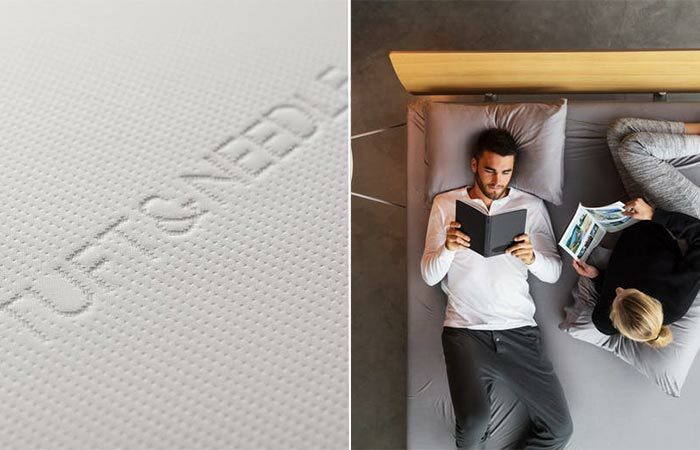 What if we told you Tuft & Needle mattresses are the highest rated in the world? They achieved that by using 100% recyclable foam, that’s ultra-soft and breathable while staying affordable. More things that contribute to its popularity is the fact the mattresses are made in the USA, they are shipped in a small box, arrive at your door and you get a 100-night trial along with a 10-year warranty. The adaptive foam keeps you cool at night and provides the balance between support and pressure-relief. Your body weight will be easily distributed across the area, resulting in just the right rebound. Available in different sizes. This stylish chair is at the same time a part of an art collection for your home and a comfortable piece of furniture. It’s produced by Mexa, using a durable steel frame. It’s powder-coated so the chair lasts longer and is protective against the elements. After the frame is made, it’s finished by inserting soft leather strips. 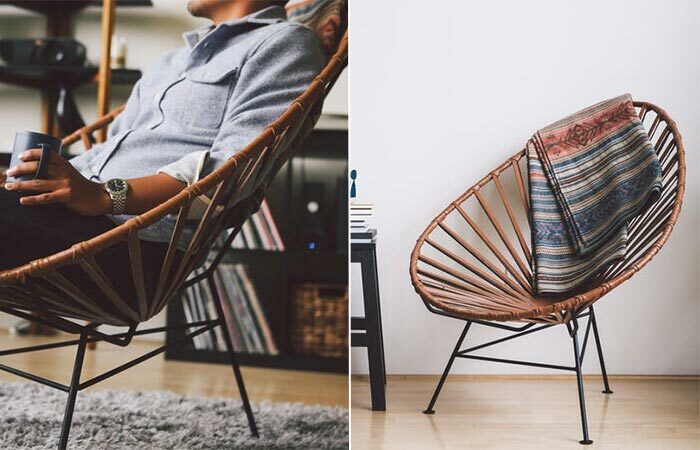 This is done using a traditional weaving technique so when the chair isn’t occupied, it has a nice pattern. If you haven’t heard of Woolrich, it’s a company that produces woolen apparel that respects the traditional American heritage. This family owned business from Pennsylvania has been doing the job since 1830. 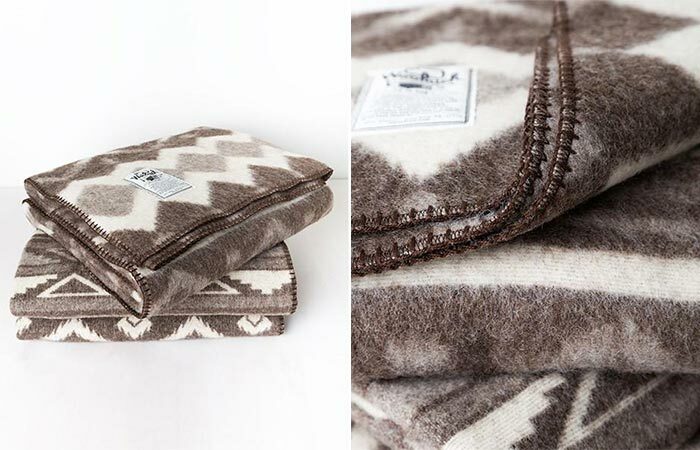 The Somerton Jacquard Blanket, in particular, is made from the blend of 97% wool and 3% nylon. The material is woven in Pennsylvania’s mill from all natural, undyed wool yarns. The traditional pattern goes along with both rustic and minimalistic bedroom designs. Boiling temperatures and overheated homes are extremely tiring. 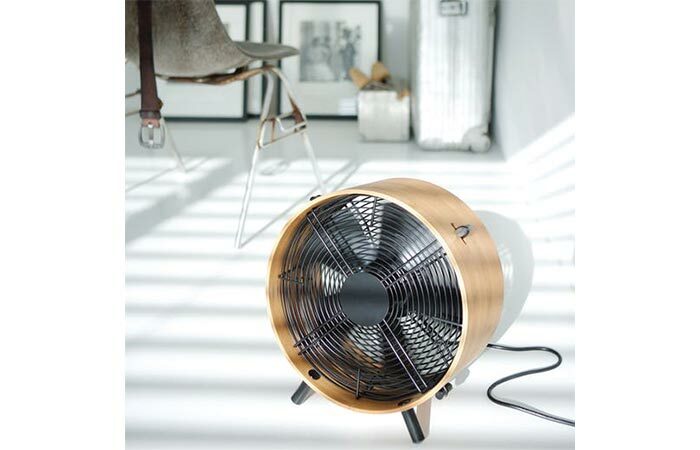 The Stadler Form Otto fan comes with a light and ecologically sustainable bamboo frame, making it easy to move around. The fan is designed in Switzerland with a minimalistic look in mind. Probably its most important feature is the height-adjustable leg set so you can position it more precisely and get that cold air circulating. There’s a protective grille at the back of it that can be detached when you want to clean the fan. The full name of this wall map is “The World – Ocean Floors and Land Relief”. The reproduction shows the topography of land and ocean floors originally published by the United States Navy Office of Naval Research around 40 years ago. 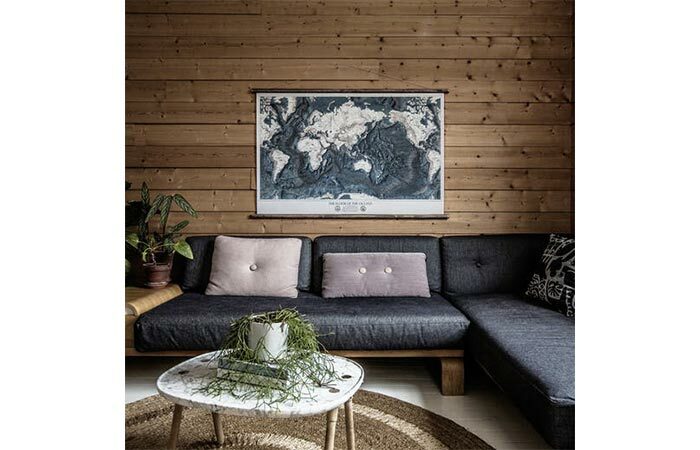 The map is printed on high-quality Airtex canvas, mounted on a timber frame and comes ready to be hanged (on a Hemp rope). It has an aged vintage look and can be perfectly incorporated into rooms with wooden elements. Since Erstwhile produces a variety of rare salvaged drawings, you can get more inspiration and decorate an entire home in a similar manner.